MANHATTAN (CN) — Jacoby & Meyers, the first law firm to advertise on television, does not have a First Amendment right to also make itself the first to fund its operations on Wall Street, the Second Circuit ruled Friday. In 1977, the Supreme Court’s ruling in Bates v. The State Bar of California made the New York-based law firm the first to solicit personal-injury clients over the airwaves. That same year Jacoby & Meyers overcame a California ethical prohibition that was preventing it from holding open houses at its offices for journalists. Blurring the boundaries again in May 2011, the firm filed a series of lawsuits against Rule 5.4 of the Rules of Professional Conduct, written to protect a lawyer’s professional independence by forbidding the sharing of legal fees with nonlawyers. “The advisability of allowing non-lawyer equity investment and, perhaps ultimately, public offerings of shares in law practices has become a much debated topic,” Kaplan wrote in March 2012. Jacoby & Mayers soliciting outside funding would not be comparable to nonprofit groups like the American Civil Liberties Union and the NAACP doing the same, the Manhattan federal judge added. Reviewing that decision four years later, the Second Circuit said Friday that Kaplan’s reasoning aligned with Supreme Court precedent. “In fact, the [Supreme] Court has explicitly distinguished between the First Amendment protections enjoyed by attorneys who, as part of an advocacy group like the ACLU or the NAACP, have recognized associational rights, and attorneys who are engaged in litigation for their own commercial rewards, albeit in the context of advancing or protecting the interests of their clients,” U.S. Circuit Judge Susan Carney wrote for the three-judge panel. Jacoby & Meyers argued that the “the right of access to courts is not limited to instances in which attorneys provide services in cases with a political or constitutional dimension,” but also the personal injury and other cases. This lofty argument did not impress the appellate court. Meanwhile, the three-judge panel saw clear downsides to flooding law firms with Wall Street money, in terms of professional ethics and independence. “For example, by proscribing the involvement of unrelated third parties in the attorney‐client relationship, the regulations preclude the creation of incentives for attorneys to violate ethical norms, such as those requiring attorneys to put their clients’ interests foremost,” the ruling states. U.S. Circuit Judge Gerard Lynch and U.S. District Alvin Hellerstein, the latter sitting by designation from New York’s Southern District, concurred. 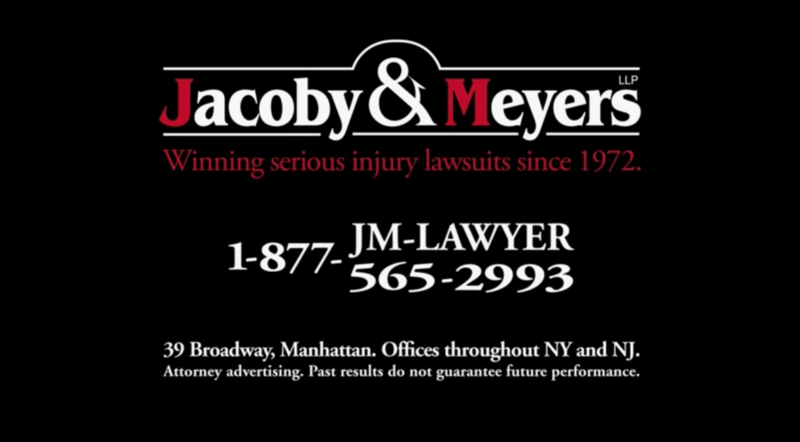 Jacoby & Meyers has not returned a phone call seeking comment.